Chiropractic WORKS! | The Solar Nerd. On the adjustment table at Dr. Pablo Rivera’s office @ Core Chiropractic. 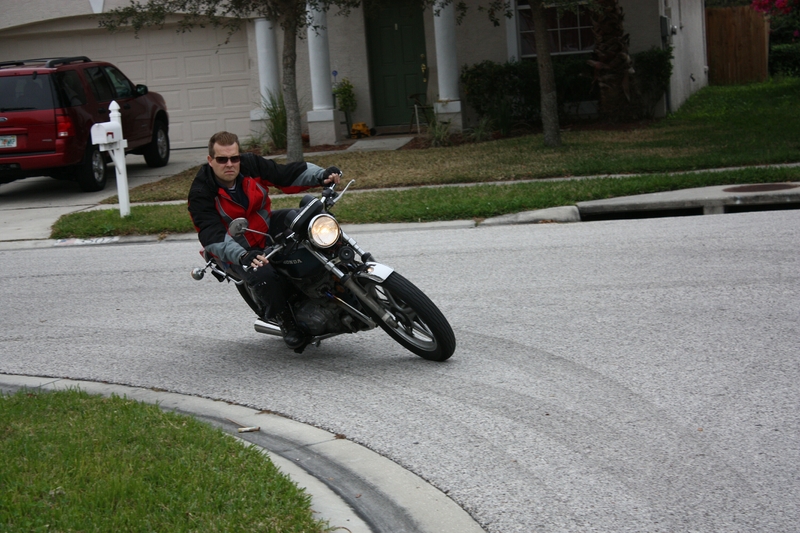 A few years ago I was taking a corner on my ’78 Honda and hit a patch of sand. I went down pretty hard, scraped my leg and broke a turn signal on my motorcycle, I thought I was fine…. Two days later my lower back was totally tweaked, I could barely stand, twist, walk or do anything. I felt like a cripple. Many people in this dilemma would go to a General Practitioner and get pumped full of dangerous pain killers or take muscle relaxants that zonk you out. I went to a Chiropractor and he adjusted my spine, I was fine a few days later. My dad had been having difficulty walking because of an issue with his hip when he was 60 years old. I took him for an chiropractic adjustment and he left the treatment feeling better instantly. He had never been to a Chiro before that day, now he goes about once a month and he can walk pain free again! Pablo is not only a member of the Wesley Chapel Rotary, I’ve also gone to Honduras TWICE with Pablo to install water filters with Pure Water for the World. Dr. Rivera is my good friend and a great guy as well, he’s married with two sons in elementary school. Pablo really has a Rotarian philosophy of taking care of people, and I have no doubt that his practice in Wesley Chapel is going to grow like crazy once people get to know him and experience how beneficial chiropractic can be. I like the idea of maintaining optimal health without drugs, I’ll continue to use chiropractic throughout my life…. especially since I still ride that darn motorcycle! ← Stay at Home Moms are GREAT!